Places to celebrate St. Patrick’s Day in central Ohio? 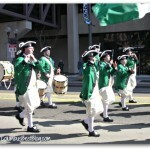 “On the pig’s back*?” Columbus and Dublin’s parades are the biggest St. Patrick’s Day celebrations. The two parades are not the only St. Patrick’s Day celebrations in central Ohio. Unlucky #13 on the list, “hoosegow” is slang for jail. I could not find an Irish slang word for jail…. I found a couple of slang dictionaries and lots of slang for drinking. Apparently “On the pig’s back” is not a place to celebrate St. Patrick’s Day, the phrase means in a celebratory mood according to Everyday English and Slang in Ireland a South African site? Good advice for those celebrating St. Patrick’s Day. Call a cab. Drink at a place that is a member of Central Ohio Safe Ride Program. The Shamrock Club Columbus site says they are a “Proud member of the Central Ohio Safe Ride Program. Cab vouchers available at the pub.” The blogging Columbus attorney sent me a link to their holiday post not because I’m a drinker… because I’m a blogger. The full title of the post is ‘Staying Safe & Avoiding a DUI Through the Holidays.’ St. Patrick’s is a holy day for some and a day for celebrating for many whether or not their heritage is Irish. ** The Columbus Historical Society event says: Advance registration is required, space is limited, so register early to save your spot! It may be too late already if you are not registered. Bars and restaurants throughout central Ohio will have green beer and drink specials throughout one of the biggest party weekends of the year. I put the Claddagh at Polaris on the list but the Claddagh in downtown Columbus will be celebrating too. The English bar at Polaris, The Pub has a 2 day “Partay.” Byrne’s Pub will be swamped with partiers. 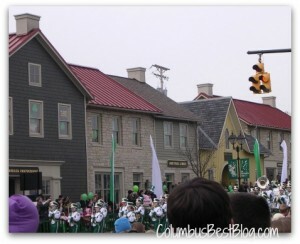 The post C olumbus OH Celebrates St. Patrick’s Day 2013 has links to the 2013 St. Patrick’s Day celebrations in Columbus and Dublin. ExperienceColumbus.com is always a great place to look for more places and events as well as the where and when of events. 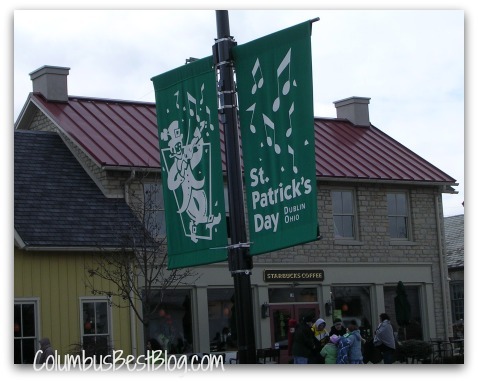 Share any place or thing to do to celebrate St. Patrick’s Day in central Ohio on the ’365 Things to do in Columbus Ohio’ Page on Facebook (link in the sidebar.) If it is a good “thing to do” and time allows the place or event ColumbusBestBlog.com will publish the “thing.” Happy St. Patrick’s Day 2013, central Ohio!